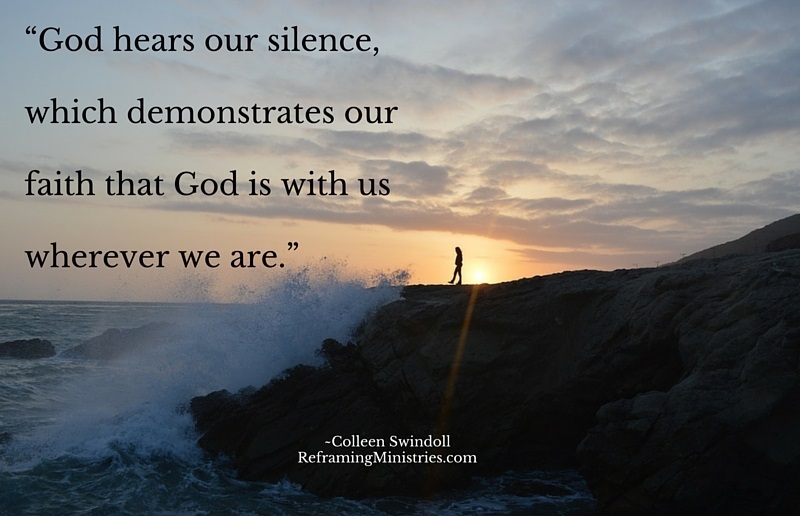 God hears our silence, which demonstrates our faith that God is with us wherever we are. 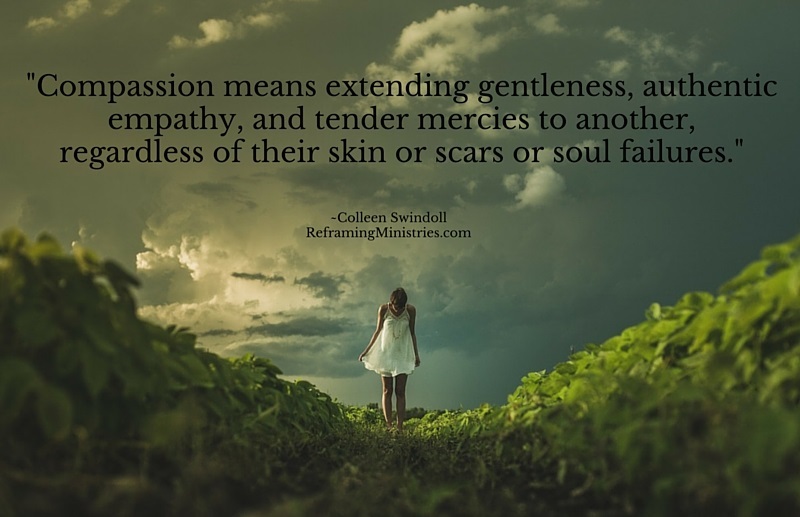 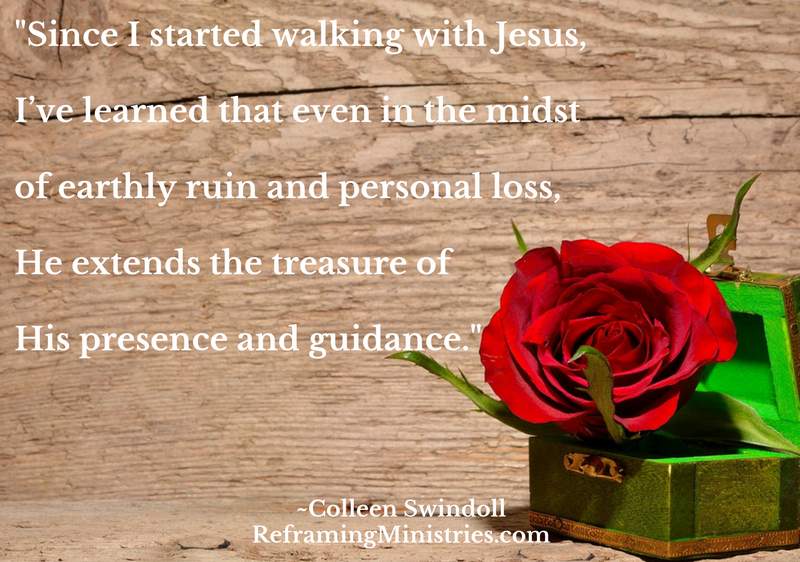 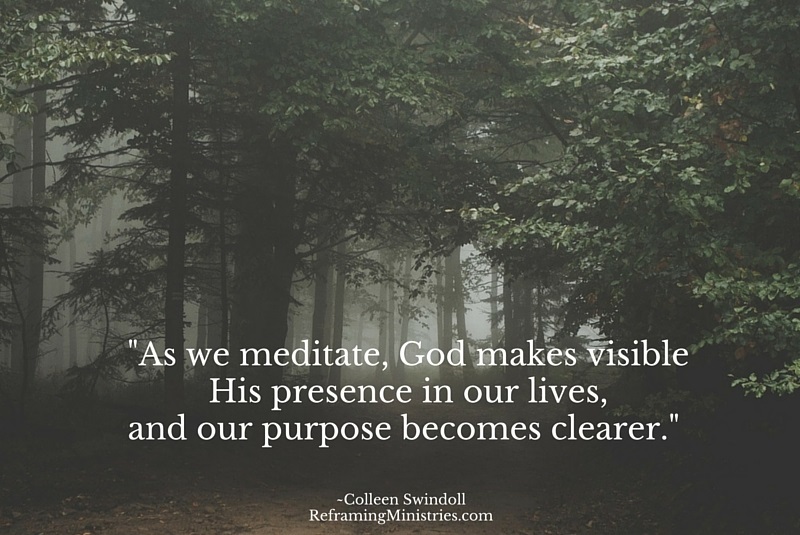 Since I started walking with Jesus, I’ve learned that even in the midst of earthly ruin and personal loss, He extends the treasure of His presence and guidance. 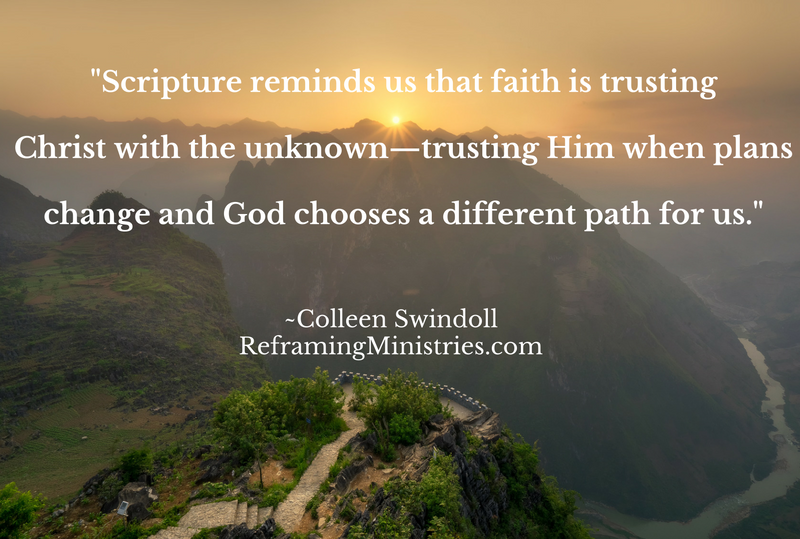 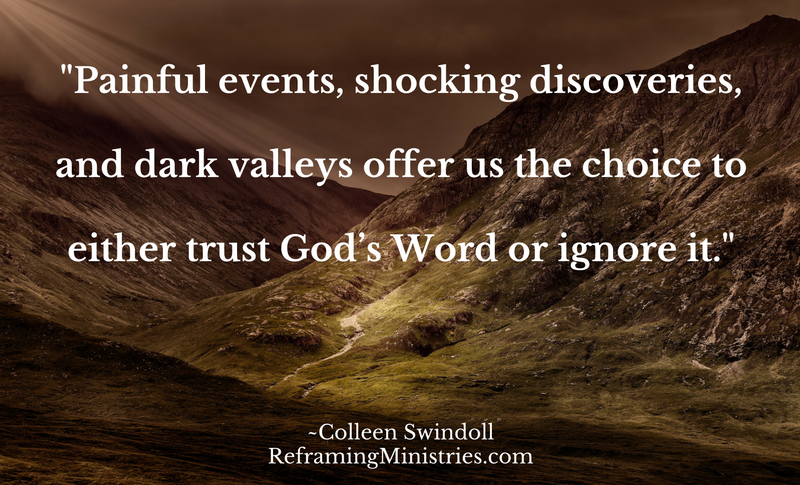 Scripture reminds us that faith is trusting Christ with the unknown–trusting Him when plans change and God chooses a different path for us. 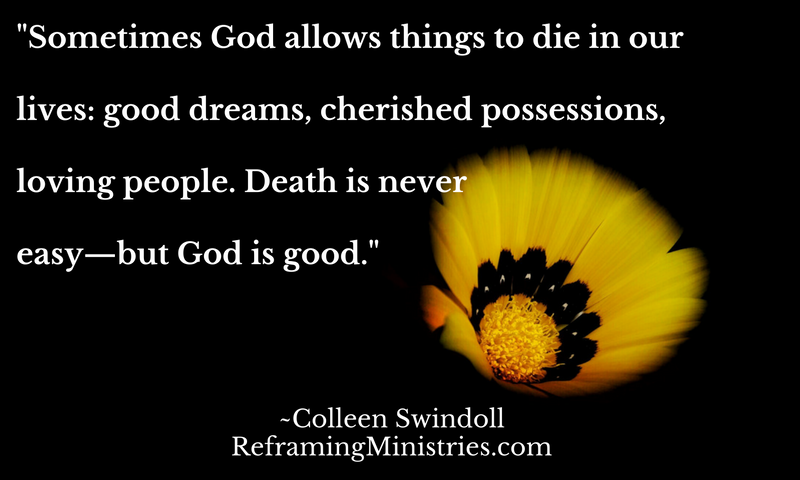 Sometimes God allows things to die in our lives: good dreams, cherished possessions, loving people. 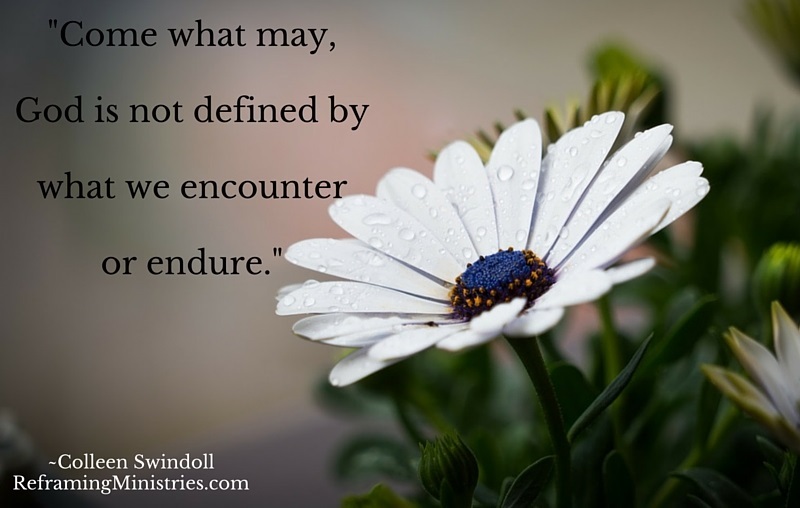 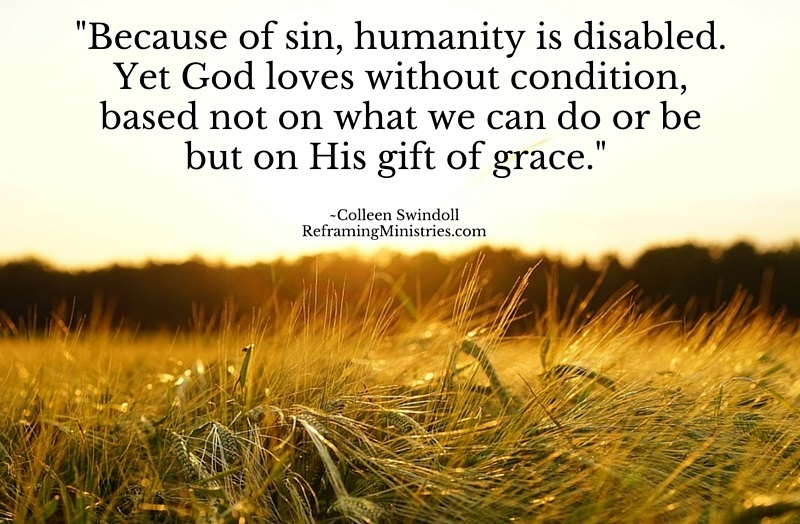 Death is never easy–but God is good. 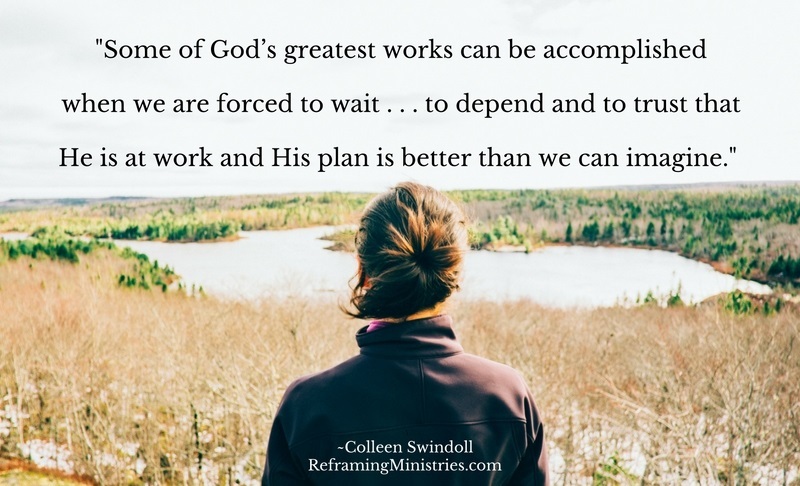 Some of God’s greatest works can be accomplished when we are forced to wait . 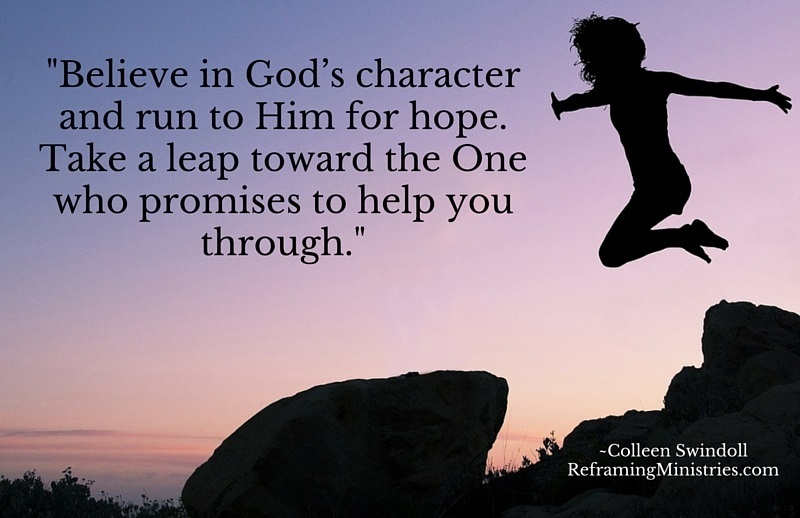 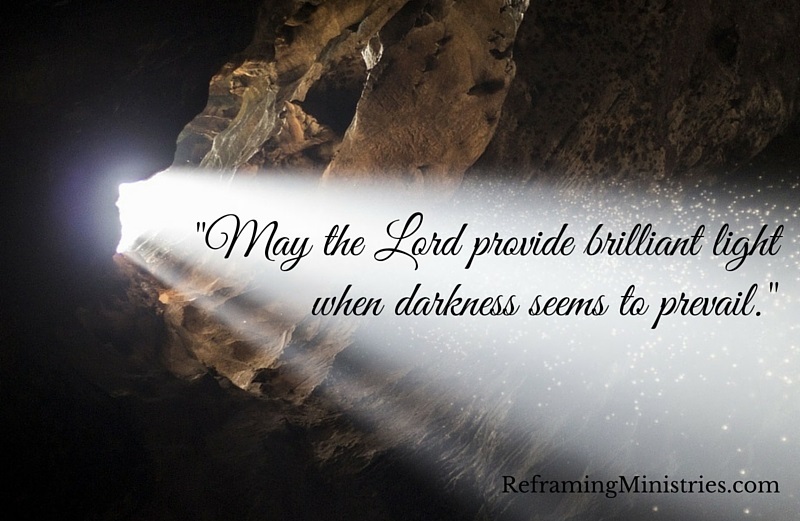 . . to depend and to trust that He is at work and His plan is better than we can imagine. 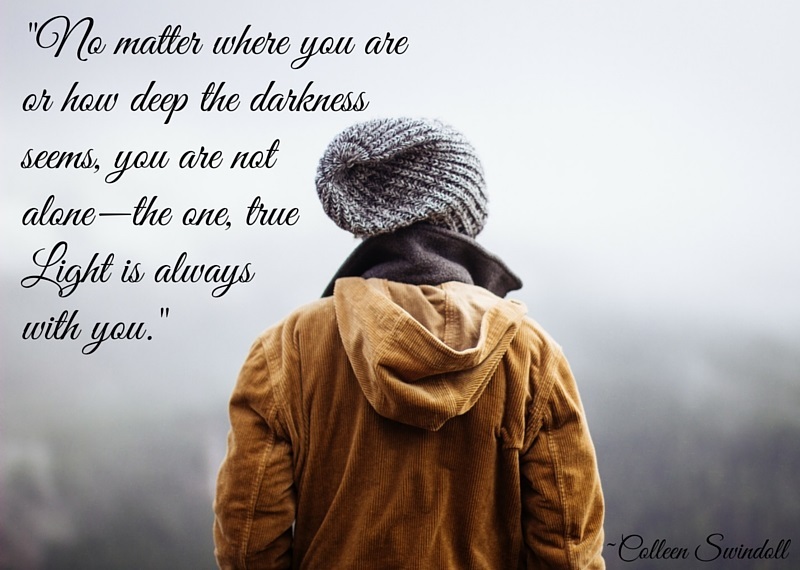 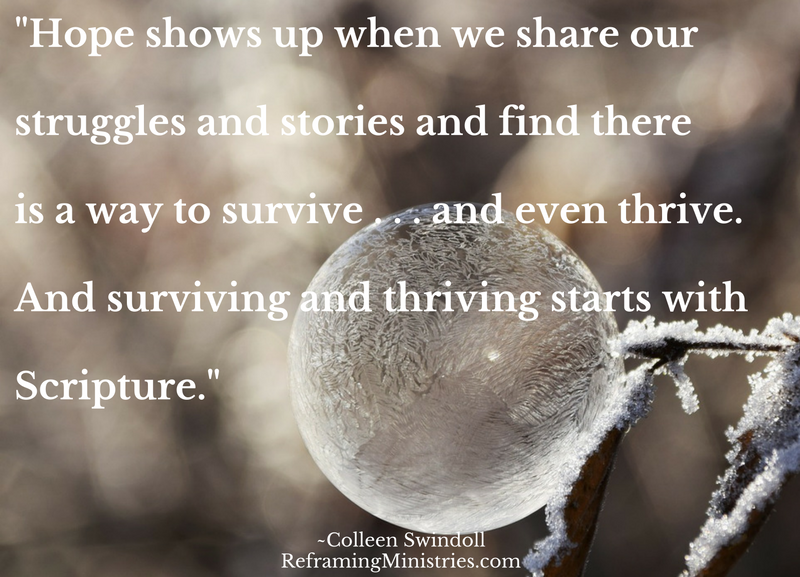 Hope shows up when we share our struggles and stories and find there is a way to survive . 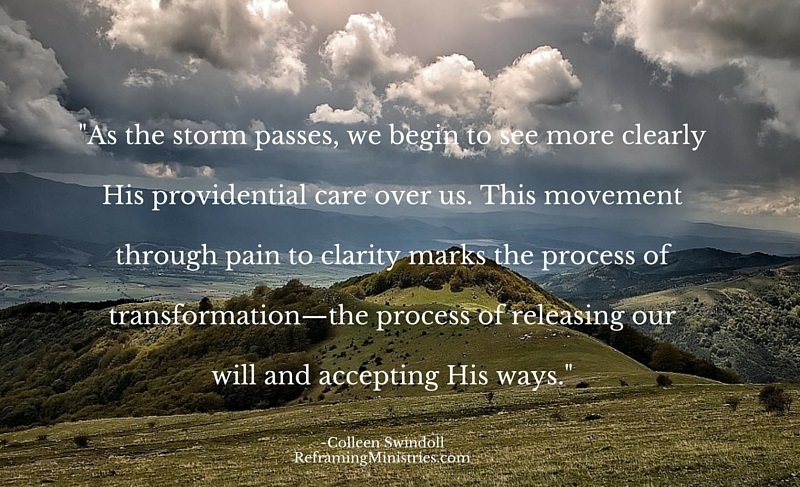 . . and even thrive. 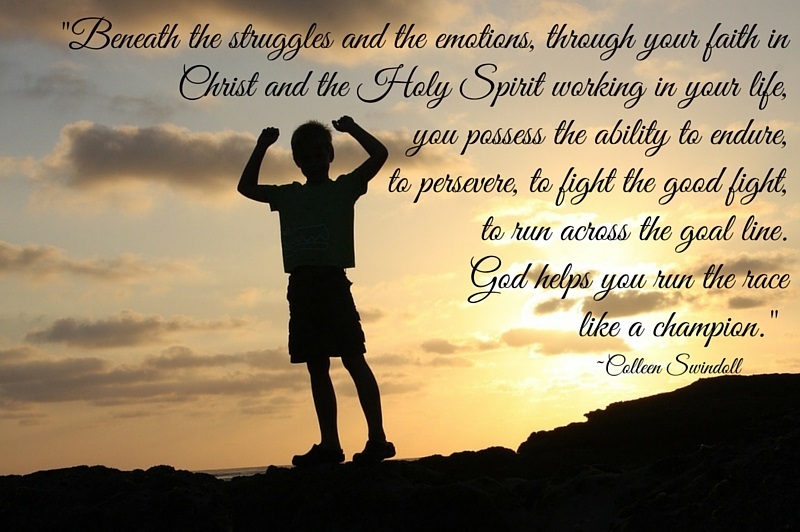 And surviving and thriving starts with Scripture. 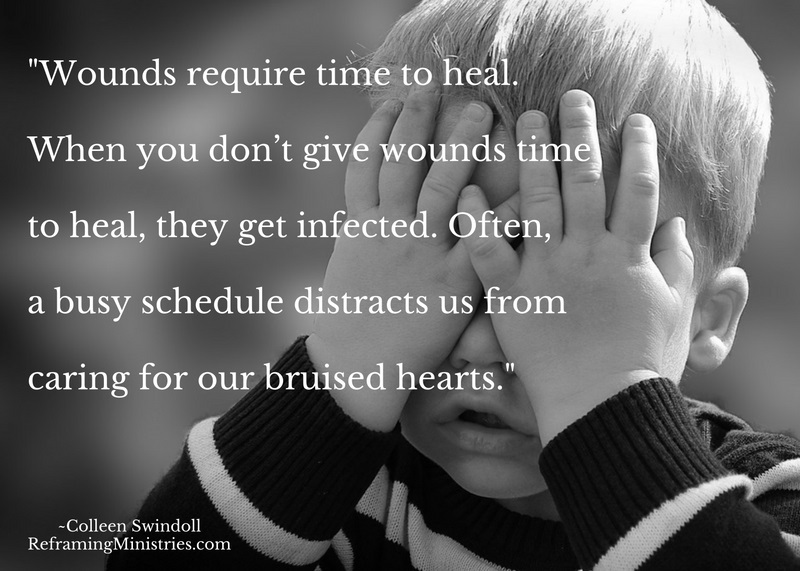 God can use our pain for a greater purpose if we allow Him to take charge of our lives. 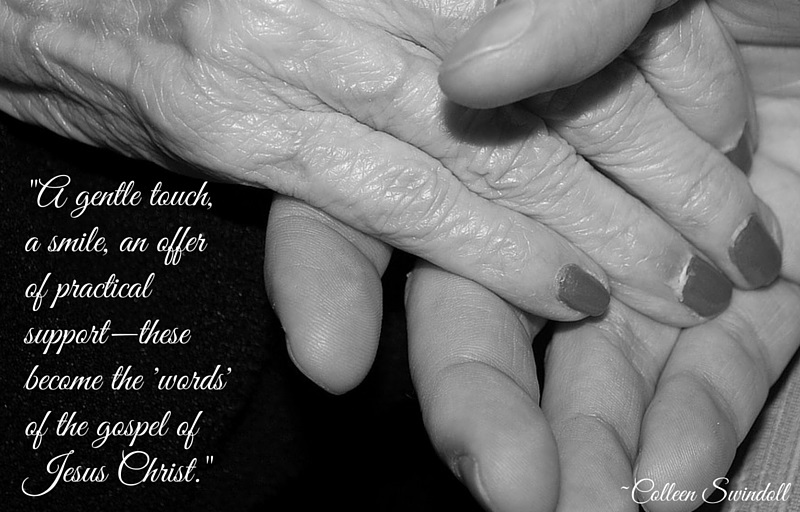 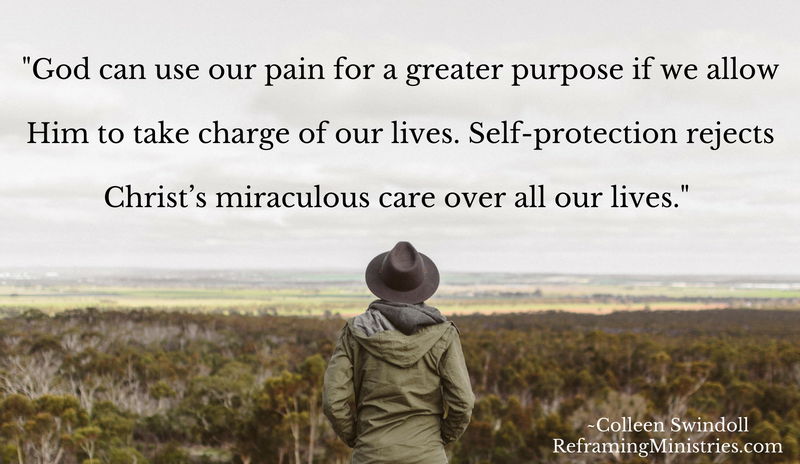 Self-protection rejects Christ’s miraculous care over all our lives. 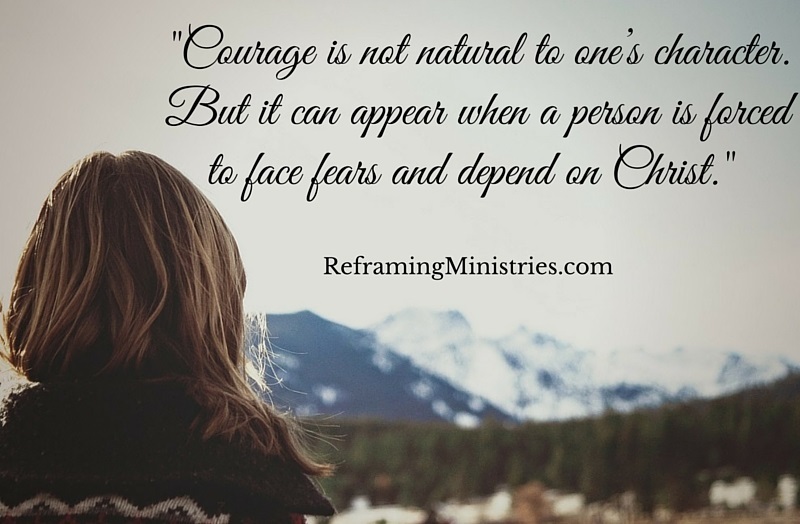 Courage is not natural to one’s character. 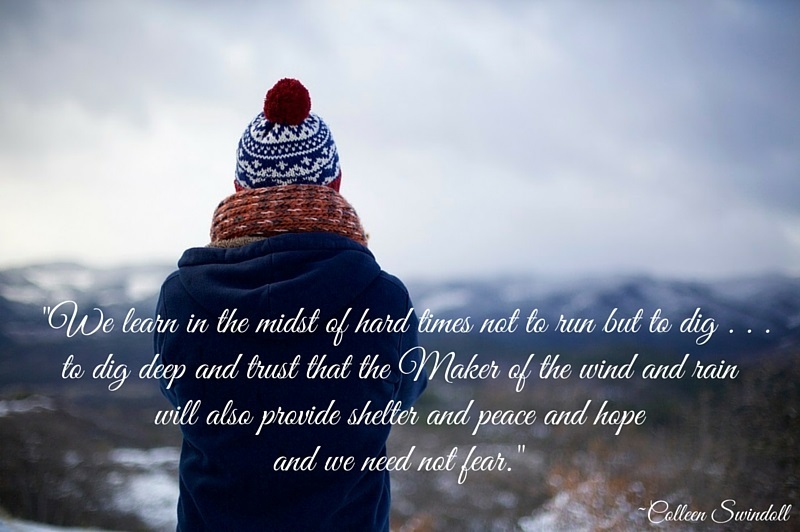 But it can appear when a person is forced to face fears and depend on Christ. 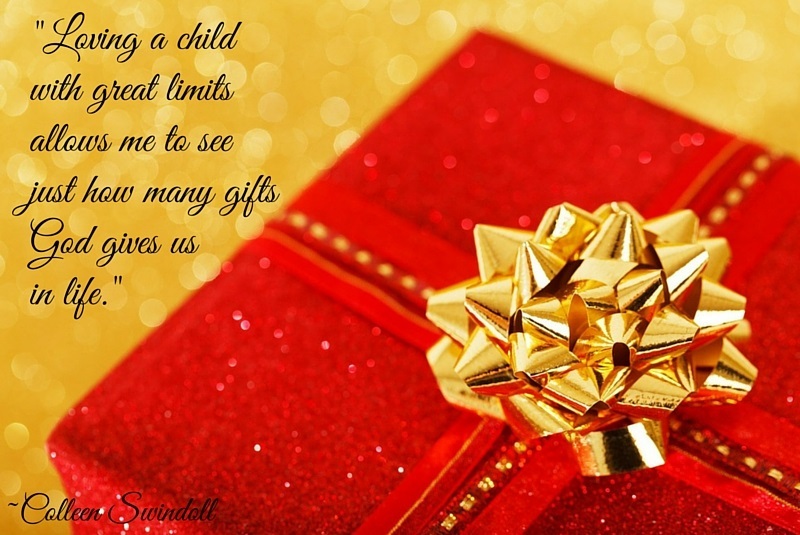 Loving a child with great limits allows me to see just how many gifts God gives us in life. 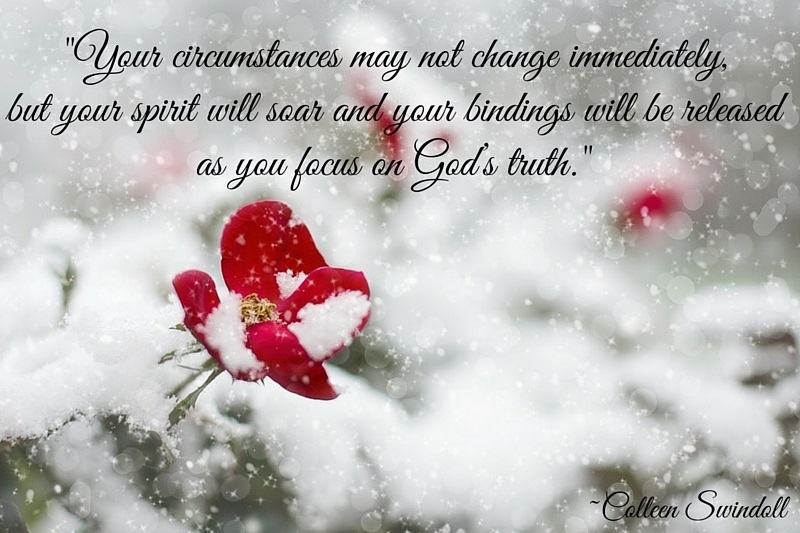 Your circumstances may not change immediately, but your spirit will soar and your bindings will be released as you focus on God’s truth.